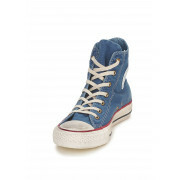 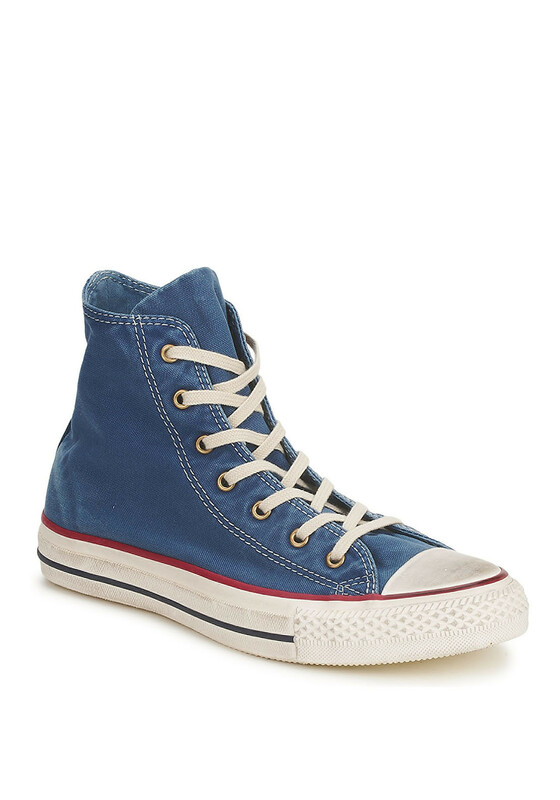 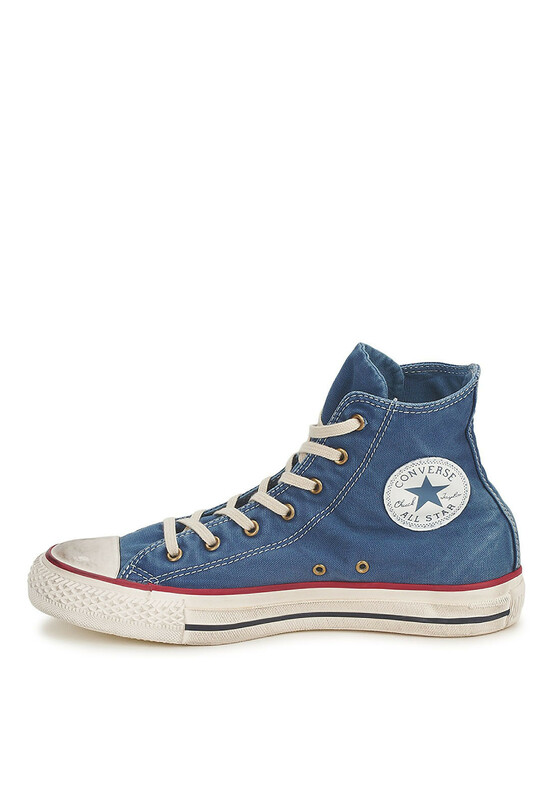 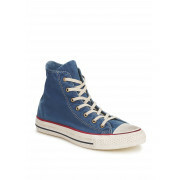 These Unisex hi tops from Converse have a canvas blue upper and a washed and worn-out design to give it a vintage touch. 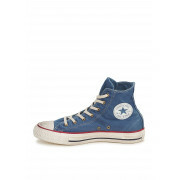 The toe cap and sole are presented in a distressed look with the upper having a washed effect. 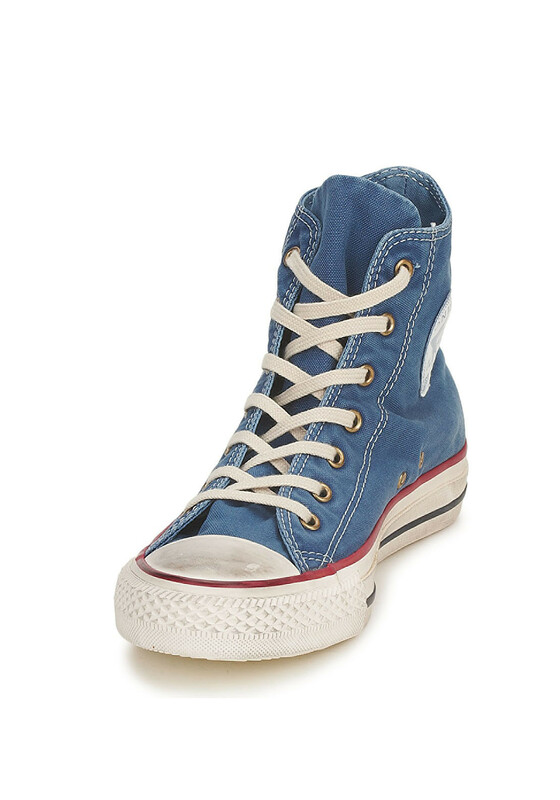 Cream laces and eyelets, rubber toe cap and outsole and a soft footbed for cushion support complete the look.